Experience a deeply healing approach to yoga in a safe space that’s just for you. Whether you’re affected by trauma, stress, mental health difficulties or menstrual health problems, I will guide you through a tailored programme of yoga practices to help heal your symptoms and restore your energy. You’ll learn to relax at the deepest level. Then, from this state of complete release, you’ll explore how to move beyond the beliefs and behaviour patterns that may be holding you back from healing. 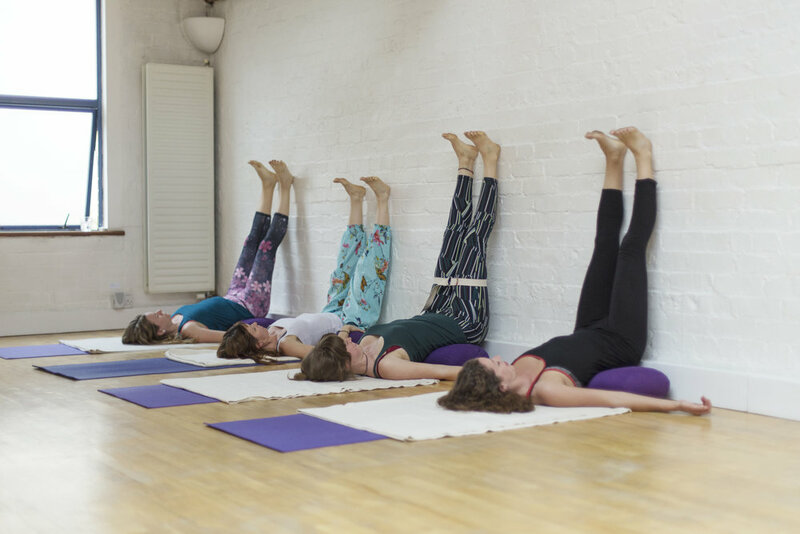 Discover your path to recovery with a personalised course of yoga nidra and restorative yoga. These are research-backed practices, proven to bring relief from PTSD, anxiety, depression and chronic pain. Start your healing journey – book a one-to-one session. In restorative yoga, we use soothing ‘asana’ (postures) in which the body is fully supported by props like yoga bolsters and blankets. Many of the poses are performed lying still. This means that rather than having to make an effort, you can sink into the postures to release tension and achieve deep relaxation. Yoga nidra is a guided meditation practice that’s simple yet often profoundly beneficial. Unlike other meditation, there’s no effort needed – you can’t get it wrong! ‘Nidra’ translates as ‘sleep’. When you practice yoga nidra, it puts your body into a state of deep sleep, while your mind stays awake and alert. In this ‘hypnagogic state’ you can begin to explore thoughts and emotions which might previously have felt overwhelming. This is a form of yoga practice designed to support women through all phases of their lives, from menarche, the menstruating years, pregnancy, post-natal and menopause. Combining aspects of restorative yoga and yoga nidra along with a focus of bringing more energy and awareness into the womb space, this practice can be both healing and empowering. Contact me to discuss when you'd like your session. All sessions take place in Hanham, Bristol. Please allow time for your appointment, as sessions may over-run. Contact me or phone 07786 787 593 to make a booking or with any questions you might have.